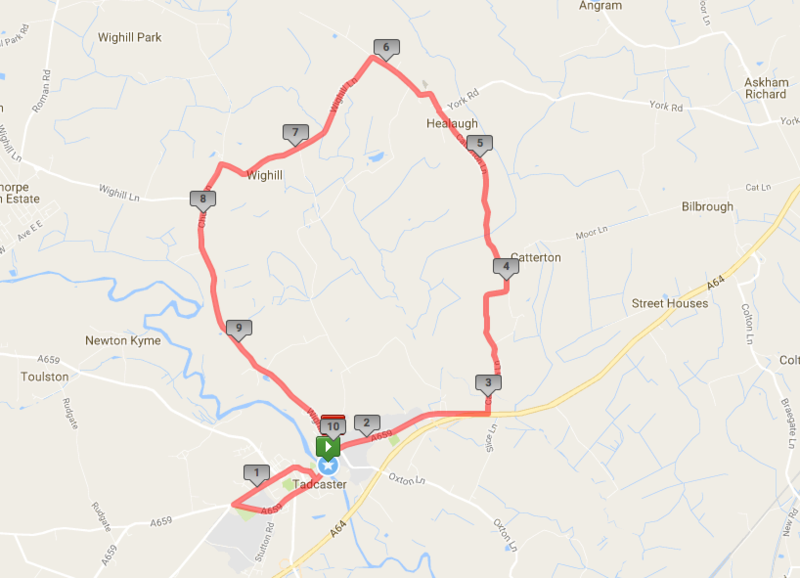 The Tad 10 course starts on the main bridge in Tadcaster and begins with a 2km loop through the centre before crossing back over the bridge and heading out towards the quiet country roads through Catterton, Healaugh and Wighill. The finish line is at the end of Wighill Lane – just as you get back into Tadcaster. There will be road traffic marshals out on the course stopping traffic and there will be road closures in place on the day and plenty of traffic marshals to keep the route as traffic free as possible. For more information regarding the race see our Race Info page. To download the route – visit mapmyrun or strava and follow the instructions for exporting the route.